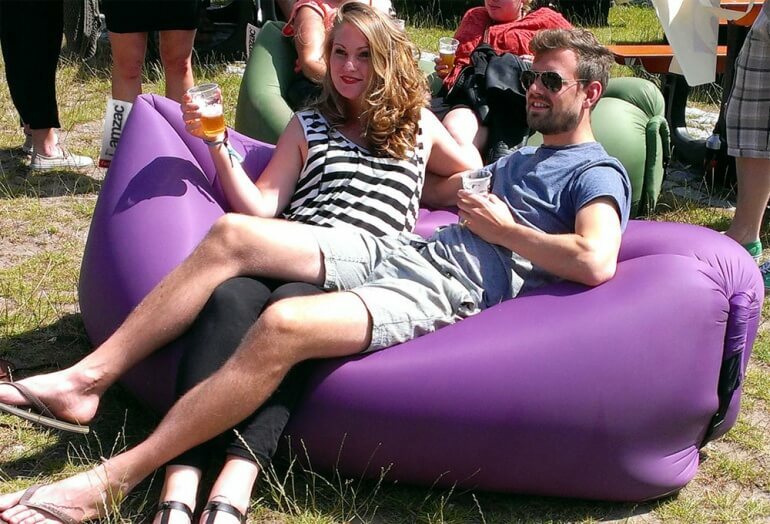 Instantly inflatable bean bag style chair. Easy and small to carry and inflatable in a matter of seconds. We love the simple yet, functional idea of this travelling inflatable chair. Made by some brilliant minds in the Netherlands, the Lamzac Hangout from company Fatboy is a mind-blowingly cool idea. 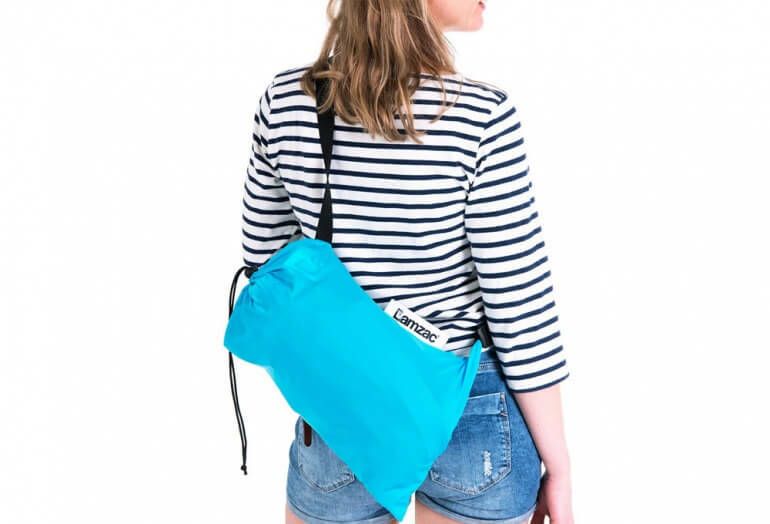 The simple nylon ripstop bag inflates in a matter of seconds by dragging the large opening through the air. Seal the end and sit in the upper slit either by yourself or with your friends. When you're done, just deflate and throw it over your shoulder to carry away. 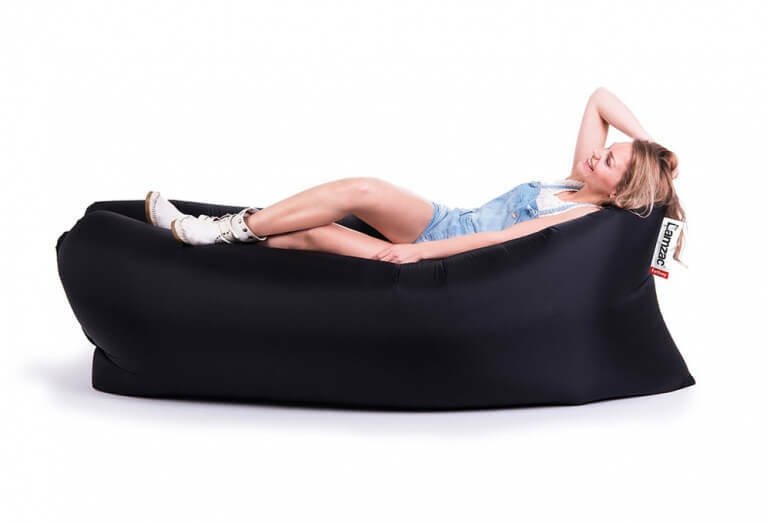 This inflatable lounging bag is perfect accessory for festivals, the park, beach, or even at home. Motion activated nightlight for your toilet. Wake up with a colored sunrise simulation & natural sounds. An unsolved Rubiks Cube mini fridge. Cloud shaped ear swab holder.